It's been another creative day today. 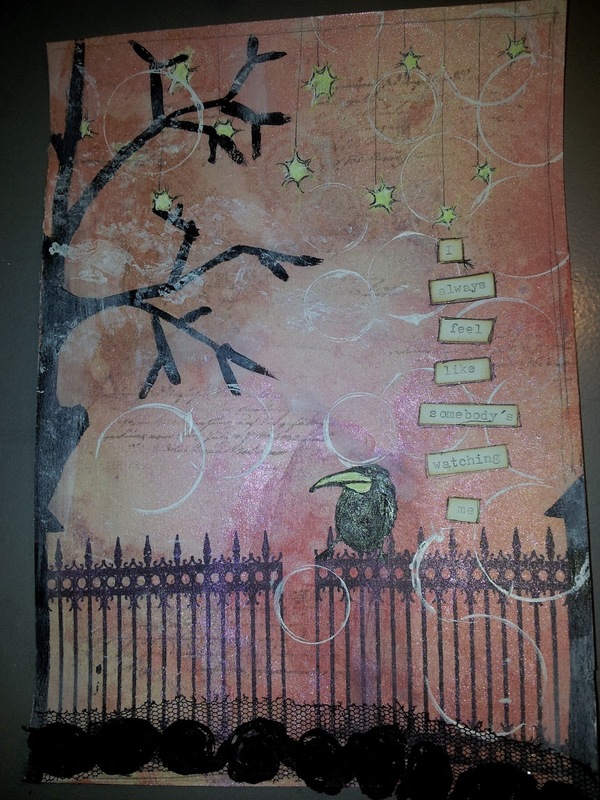 A fellow crafter came over and we did some art journaling. 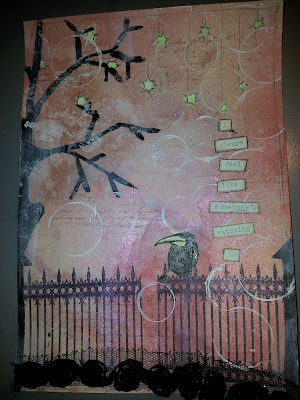 This piece I made was inspired by an art journal by Papillon sur la branche who has such an inspiring blog and makes totally awesome stuff. I didn't want to copy her cute art journal entirely so I tried to make mine with a Halloween twist. The gates are stamps, the rest is drawn or painted.